Almost all the operations in this section is mainly related to Numpy rather than OpenCV. 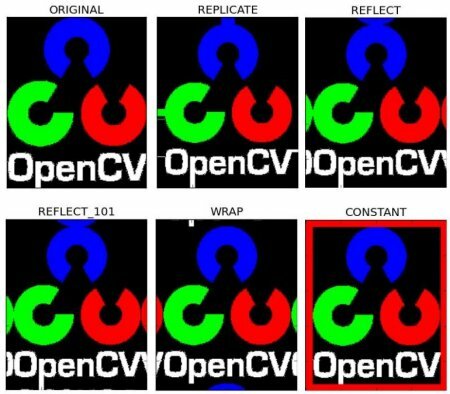 A good knowledge of Numpy is required to write better optimized code with OpenCV. You can access a pixel value by its row and column coordinates. For BGR image, it returns an array of Blue, Green, Red values. For grayscale image, just corresponding intensity is returned. You can modify the pixel values the same way. Numpy is a optimized library for fast array calculations. So simply accessing each and every pixel values and modifying it will be very slow and it is discouraged. Above mentioned method is normally used for selecting a region of array, say first 5 rows and last 3 columns like that. For individual pixel access, Numpy array methods, array.item() and array.itemset() is considered to be better. But it always returns a scalar. So if you want to access all B,G,R values, you need to call array.item() separately for all. Image properties include number of rows, columns and channels, type of image data, number of pixels etc. If image is grayscale, tuple returned contains only number of rows and columns. So it is a good method to check if loaded image is grayscale or color image. img.dtype is very important while debugging because a large number of errors in OpenCV-Python code is caused by invalid datatype. Suppose, you want to make all the red pixels to zero, you need not split like this and put it equal to zero. You can simply use Numpy indexing, and that is more faster. cv2.split() is a costly operation (in terms of time). So do it only if you need it. Otherwise go for Numpy indexing. cv2.BORDER_CONSTANT - Adds a constant colored border. The value should be given as next argument.